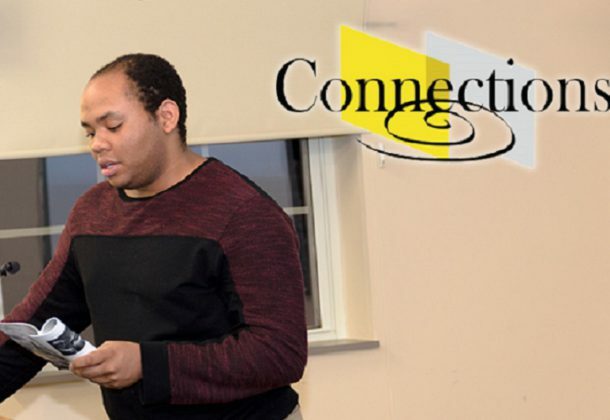 People who have contributed to the latest College of Southern Maryland Connections literary magazine will be reading their work during a presentation at 7:30 pm Friday, Dec. 7, 2018, at the college’s La Plata Campus. The Connections Reading will be in the Business and Industry (BI) Building in rooms 103 and 104 at 8730 Mitchell Road. Contributors whose pieces of writing and photographs are published in this year’s magazine will both read and discuss their works. The event is free to attend. For more information, call the college at 301-934-7864 or visit the college online. Members of the community who are interested in being published in future issues of the magazine can submit their work to the college. The magazine features poems, stories, artwork, and photography. Material from visiting authors is sometimes included as well. This event is part of the Connections Literary Series, which is sponsored by CSM’s English, Communication, and Languages Division and, in part, by the Arts Council of Calvert County, the Charles County Arts Alliance, the St. Mary’s County Arts Council, and the Maryland State Arts Council. Anyone interested in submitting their work needs to limit their submission to five poems, two stories, one essay, or five black and white photographs. The college does accept simultaneous submissions. By submitting work to Connections, writers and artists indicate their consent for the college to publish that work in its print journal and on its website. It’s important to inform the college if work has been accepted elsewhere for publication. Submissions need to contain the name, address, phone number, and a brief biographical statement of the artist or writer. Submissions can be emailed to Connections@csmd.edu.